E-commerce is big business. Its also incredibly competitive, which means you need to take advantage of proven techniques to give yourself the best chance for success. Rarely is this more true than when you’re trying to sell clothes online, given the saturation of the online fashion market. To encourage customers to choose you over the competition, you’ll want to make buying clothes on your website a convenient and streamlined experience. This means finding a way to display your clothing products and options effectively, such as by using a customized product table. 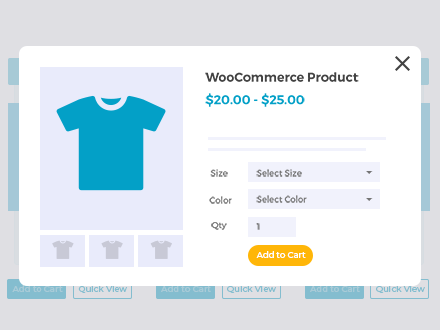 In this guide, we’ll introduce you to WooCommerce Product Table – a plugin that makes it easier for customers to browse and buy clothing such as t-shirts, shoes or accessories. Next, we’ll show you how adding quick view buttons can speed up the buying process and increase your sales. Finally, we’ll show you how to use these amazing tools to sell clothes online. Some stores sell products that require a lot of detailed information. For instance, an online electronics shop will usually merit dedicated pages to explain the ins and outs of each item. However, a clothing store is a little different. If you’re running this kind of e-commerce site, chances are your products are pretty simple to grasp. Most customers won’t need a lot of information in order to know whether they want to buy a particular shirt, for example. They’ll just want to know what it looks like, and see the options when it comes to colors and sizes. Therefore, making visitors navigate to a bunch of individual product pages – as in a traditional e-commerce store layout – can be counterproductive when you’re trying to sell clothes online. Some customers might like this extra information, but most want a quick buying process. Instead, you can show off everything you have to offer in a concise product table. This lets customers view all the clothing options in one place. They can compare products easily, and add everything they want to their carts from a single page. It’s just like buying in a physical clothing store! What’s more, it’s simple to set up if you have the right tool. If your clothing store is set up on WordPress, we’re willing to bet that you’re using WooCommerce. This incredibly popular plugin adds e-commerce functionality to the platform, and is perfect when you want to sell clothes online. Lets you organize all your clothing, accessories, and more into one table. Makes it easy for customers to compare items. Customers can click on a clothing image to view a zoomed in version in a lightbox. Includes sorting and filtering capabilities, making your product table dynamic. Enables you to display product variations (such as colors and sizes) alongside each item. Click to view an enlarged version of each image in a lightbox. Best of all, WooCommerce Product Table is simple to use. Let’s walk through how to set it up, customize it, and create your table! 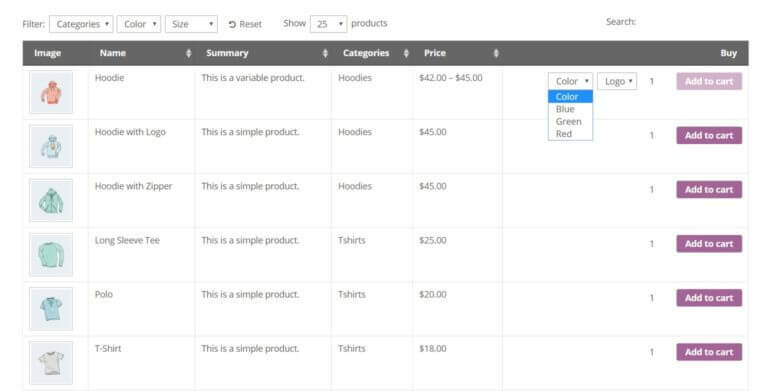 Try out the WooCommerce Product Table clothing store demo for yourself! As you can see, listing clothes in a table layout can make a huge difference to your sales. 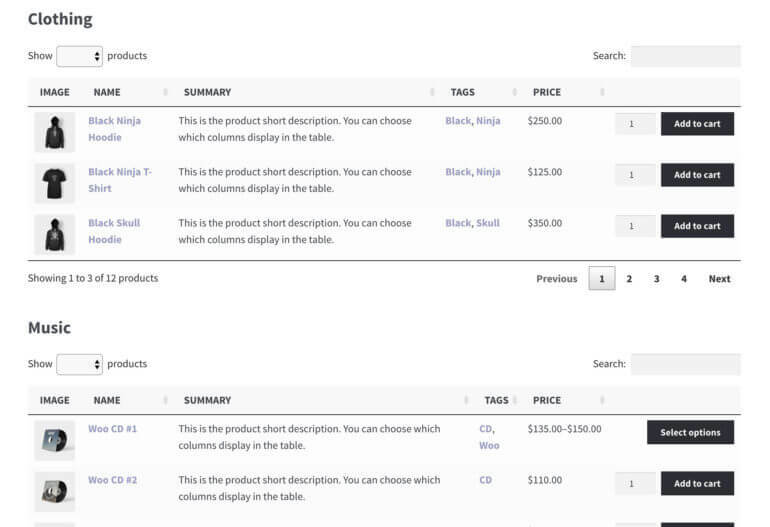 You can take your store to the next level by combining this table layout with product quick view. Think about when you’ve bought clothing online from leading fashion websites. You’ve probably noticed that nearly all of them offer some sort of quick view function. This is where you can see extra pictures and buy without having to visit a separate page for each garment. There’s a reason for this – it’s because quick view is a much more user-friendly way to sell clothes online. That’s why you need the WooCommerce Quick View Plugin. This handy tool adds – you guessed it – quick view links or buttons to your WooCommerce clothing store. Customers can use these to view more photos of each clothing item, zoom in on images, and buy directly from a quick view popup. You can also show the short description in the quick view, which is a useful place to add size charts, washing instructions and other useful information. If you’re selling customized clothing, then quick view is ideal for this too. Use it with the Product Add-Ons plugin to add text input boxes. This is where customers can upload a logo or enter a personalised message to be added to their custom clothing product. You can use quick view with product tables. Alternatively, it also works as a standalone product that adds quick view buttons to the default WooCommerce store layouts. The quick and easy way for customers to choose and buy clothes. Install WooCommerce, and go through its setup wizard to configure your store. Add all your clothing and other items as individual WooCommerce products. Once those tasks are out of the way, you’re ready to get started. First up, you’ll want to get the WooCommerce Product Table plugin running on your clothing website. To do that, you’ll need to purchase the plugin online. Start selling clothes online through your WooCommerce store today! Here, you’ll need to paste in the key you were sent via email at the time of purchase, and hit Enter. This will get WooCommerce Product Table fully up and running, ready to start selling clothes online. Now, you’re ready to set up your product table to sell clothes online. It’s best to use an entirely new page, so go to Pages > Add New. This places a shortcode on your page. The shortcode will tell WordPress to set up a product table displaying all the clothes you’ve entered as WooCommerce products. While your product table is perfectly functional already, you’ll probably want to make some tweaks to get it looking and working just right. 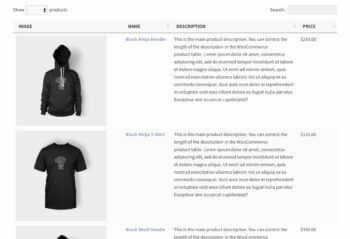 For example, nearly all WooCommerce clothes stores will include images of their clothing products. So save this page as a draft, and move on to the next task. 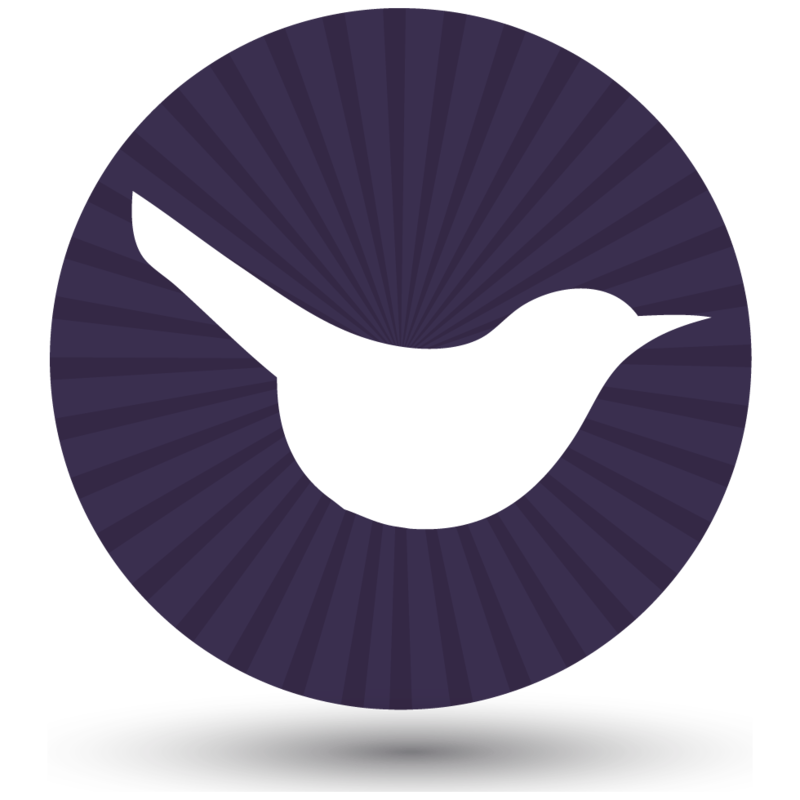 The WooCommerce Product Table plugin may be easy to set up, but don’t let that fool you. This tool is incredibly powerful, offering a ton of customization options so you can tweak your product table to fit your niche. If you’re looking to sell clothes online, you’ll want to make a few changes. Head back to WooCommerce > Settings > Products > Product tables (the page where you added your license key earlier). Here, you’ll find a ton of options you can use to customize your product table. We won’t try and cover all of them here. Instead, let’s look at a few that are most useful for a store designed to sell clothes online. You’ll probably want to include images, for example, as well as a few details about each item such as its category, description, and price. You can read up on all the column options in the plugin’s documentation. Right below that, you may want to check the box labeled Show quantity selectors in the Add to Cart column. This will enable customers to purchase more than one of each item, which is a useful feature for a clothing store to have. This setting displays your items’ variations right within the table. In other words, customers will be able to see and select all clothing options, such as colors and sizes. You can either display these variations as dropdown menus, or on their own rows. This improves performance for product tables with a large number of entries. Just be warned that this setting does interfere with some of the other features we’ve discussed. You can continue to make changes – anything you alter in the settings will be automatically applied to your product table via the shortcode. When you’re happy with the way your table looks and functions, go ahead and publish it! This will let customers start using it to make purchases. If you want to list all your clothing items in a single table, skip to Step 5. However, most stores sell clothing from multiple categories. For example, you might have top level categories for men’s, women’s and kids clothes. These are probably divided into sub-categories, for example t-shirts and tops, dresses, trousers, underwear, nightwear, swimwear, etc. You might have peripheral categories such as shoe and accessories. Maybe you sell other types of product such as music, and not just clothes. With so many clothing products on offer, you’ll want to list each category separately in your WooCommerce store. 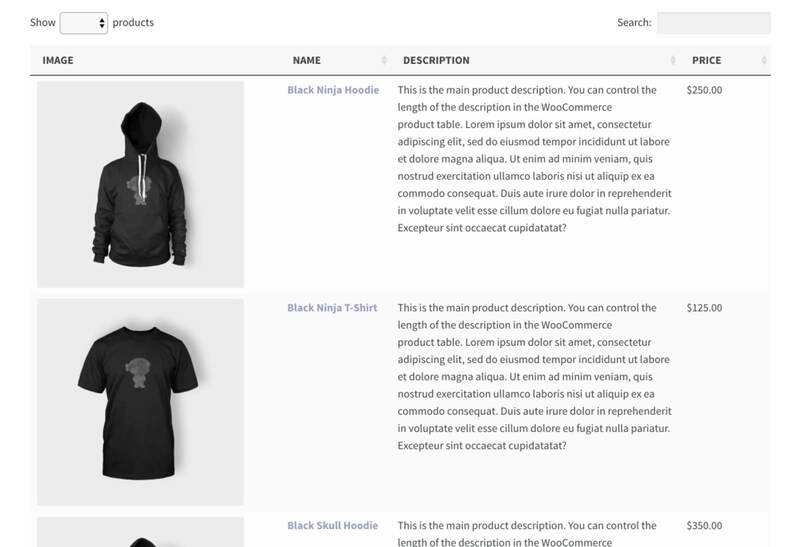 Follow these instructions to add the product table layout to the WooCommerce archive template in your theme. 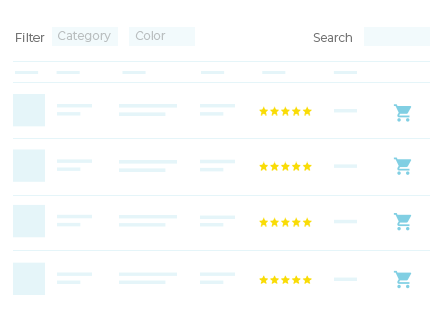 This will automatically use product tables throughout your store, instead of the default layout (which is less suitable for selling clothes online). Whenever someone clicks on a link to a category or sub-category, they will see the correct clothing products listed in the product table. If you don’t want to edit any template files, then you can create as many pages as you like and add a product table shortcode to each one. Use these instructions to edit the shortcode to list clothes from a specific category only. You can either create a separate page for each category of clothes, or add multiple product tables to a single page. Install and activate WooCommerce Quick View Pro. Go to the plugin settings page at WooCommerce -> Settings -> Products -> Quick view. Enter your license key and choose what you want to appear in the quick view lightbox. For selling clothes, you’ll probably want the full product image gallery, image zoom, and possibly the short description and add to cart options. If you’re using WooCommerce quick view with product tables, then you should also go back to WooCommerce -> Settings -> Products -> Product tables. Add quick-view to the list of product table columns, or tick the option further down the page to replace links to the single product page with quick view. The above three steps are sufficient for creating a fully-featured and compelling product table. However, there’s one more tool you may want to consider adding to your site. This extension lets customers further personalize their purchases. You can enable them to add on items to their orders, via input boxes, drop-down menus, and checkboxes. If you offer personalized clothing and accessories, this extension will also make it easy for customers to request custom messaging. For example, if you want to sell personalized t-shirts online then Product Add-Ons is a must. You can use it to add check boxes for optional extras, and a text entry box to add a personalized message. It’s even possible to include a File Upload field (e.g. to upload a custom logo or design), although customers will need to click through to the single product page to use this. Overall, Product Add-Ons is a valuable addition that helps you sell clothes online more effectively. To learn more, check out the developer’s guide on how to set up the extension and start using it. If you’re looking to sell clothes online, you’ll need to use the most effective strategies in order to stand out. This includes finding a way to show customers everything you have to offer – and all the relevant variations – in one convenient place. Create a basic product table. Use a WooCommerce extension to add more options. Do you have any questions about how to set up the perfect product table to sell clothes online? Let us know in the comments section below! Hi Alisha, we only work with WordPress and WooCommerce so I can't advise you on Shopify. I can tell you how to do what you need in WooCommerce if that helps! 1. When you add each product in WooCommerce, choose the External/Affiliate product type from the dropdown at the top of the 'Product Data' section on the Add Product screen. This lets you add the URL of the product on the third party site, so that customers can click through and purchase there. 2. If you want the payment to be taken directly on your site then you can set up WooCommerce with normal products and PayPal payments, and use PayPal Adaptive Payments to automatically split the payments. You can use the Advanced Notifications add-on to automatically send the order confirmation emails to the fulfilment centre. Option 2 will be more seamless to the customer because everything will take place on your own website.